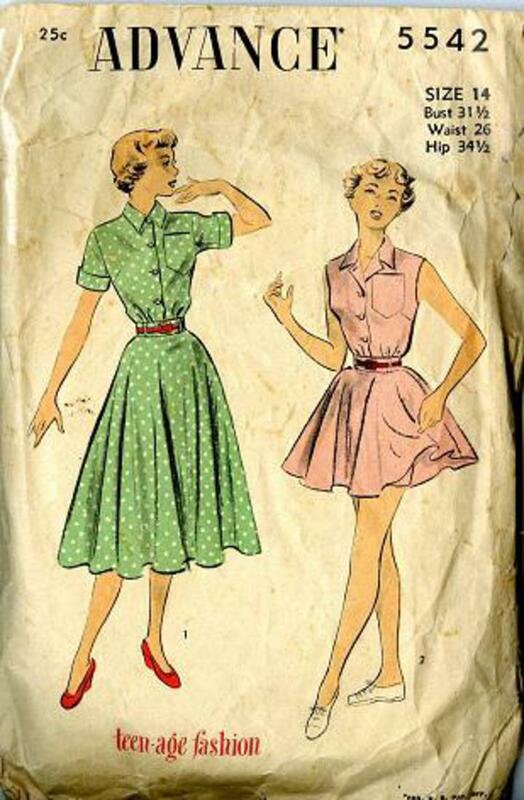 1950 Advance #5542 vintage sewing pattern, misses' street and short length shirtwaist dress, size 14. Unprinted tissue pattern. 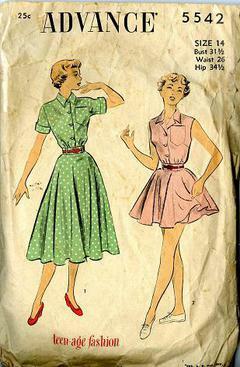 Some pieces are wrinkled.